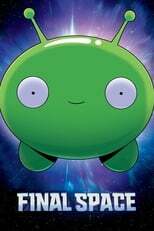 Where can you stream Final Space? On 2018-02-26 Animation TV Series Final Space first aired on TBS. Written and created by Olan Rogers & David Sacks, and produced by New Form Digital & Studio T, Final Space will return and was last broadcasted on 2018-04-30.